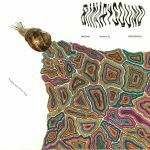 Review: BinarySound is a new label by Frenchman Antoine Sy. He presents a wicked release here which inaugurates the label, featuring some analogue mini-fink that bridges the gap between first and second wave Detroit aesthetics - in particular Daniel Bell's renowned groove reductionism. Fans of Spacetravel, Binh or Evan Baggs will appreciate this little beauty. 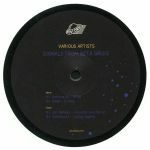 From the quirkin' and bumpin' bounce of "H0SS3G0R" (a tribute to Sy's hometown) and the wicked remix by Seekers' Alex Picone next which injects a bit more dancefloor dynamic into it. On the flip, "E04" is the kind of retroverted jam that Berlin's Libertine crew would be partial to, while the blip/blurp/bleep of "R4L4L4" is another respectful nod to the old-school by a promising up and comer of the new school.